← On Portability – can a phone substitute for a camera? A musing on the process of taking and then showing photographs, and a partial explanation on why I have been somewhat absent in recent weeks. Note – if at any time you just want to see some photographs instead of reading the post – click the big Flickr logo above, or this link. There are some quite nice new photographs there. But read to the end if you dare, and you will find links to much better ones. I have had a lot of fun buying cameras and taking photographs with them in the last couple of years. As with most things, I try to get better as I go, and (ahem) I think I am generating better shots these days. But in this endeavor as in so many others, I occasionally have to stop and think why am I doing this? This question is most often posed as I have to clear more space in my study to make way for an additional deluge of cameras and lenses. Mostly the answer is “for my own entertainment”, but that’s not quite enough. So I set up this web site for the partial purpose of being able to nicely show some of my better shots. That has been fun, but it is also a very asymmetrical process, that is a bit frustrating. Let me explain why. The best way to show photographs on the web in my opinion is as in a size that is large as possible. A post done with huge photographs in it is tough for a viewer to navigate however, so I use a method that shows smaller thumbnails which can then be clicked into a full screen slide show en volonté. Hopefully you are all familiar with this. But a curious issue then ensues. I have no idea, using this method, if anyone looks at, or even likes the photographs I post. Some good friends or family occasionally (and very kindly) get in touch, but pretty much it’s a one-way street. A bit like the tree in the forest falling (if no one saw it, did it happen? ), I wonder what is the purpose of the photographs I show this way. Mulling this over, I started to wonder about Flickr and Google+. I had been on Flickr since it started, and used it, as many people do, as a repository for family and shared snaps that I wanted others to be able to see. But snaps, not photographs. Dimly, I recalled however, that there is an active community showing and commenting on photographs also. So I started to load the same sets of shots into Flickr every time I published a post here. And sat back and waited. Nothing happened at all. No more people looked at them on Flickr than did here. Actually that’s not true. I don’t know how many people here look at photographs – but I knew how many did on Flickr, because it provides data. There were none. This was a) disappointing, and b) puzzling. I decided to try to learn about how Flick works. I started this process around a month ago, and today I think I understand it pretty well. I’m not going to bore you now with the details of this. Oh no. I’ll do that later. But just to say that it has been surprisingly entertaining, and led me down pathways that I had not anticipated, including setting out on a 2-day workshop photographing London river and architectural views this coming weekend. And it has also solidified in my mind why and where I show my photographic work. Today I have over 2000 followers on Flickr (achieved in 6 weeks), and my recent photos are getting 100 plus likes on the day they are posted (today’s shot has got 170 likes in 6 hours). That’s quite respectable in Flickr terms. And I get a great deal of nice comments also. While that’s very gratifying, the really interesting thing is seeing what photos work, and what don’t. And also in looking at the huge mass of posted shots – amongst which is work of great beauty by some of the best professional photographers I know. I am heading down a pathway in my own work that I would never have found before – and a key step forward is that I think at some point quite soon I will be able to legitimately call it “my work”. I now can also figure out how to treat Flickr versus this site. 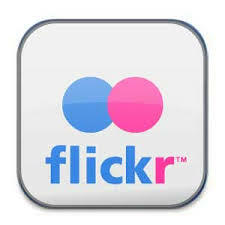 Flickr has a huge audience but they will only look at arresting images (as a rule). So only one shot of my best stuff goes up there each upload. A sequence of similar and I think quite nice shots such as I often put up here, is deadly on Flickr. The Flickr response is almost completely done in 2 days. Here, this post is still getting the same daily readership, almost a month after I first posted it (??). So, I post every other day on Flickr with a varied selection of my best stuff. On this site I will continue to post series of my best work using shots that are linked in content and style. We’ll see how it goes. In the mean time you must be tired of reading all this. How about some photographs? Let’s start with two heroes I found from my Flickr adventures. By the way, when you look at the photos I am linking you to – show them in full screen, by clicking on the Flickr image. The first is the interestingly named Vulture Labs. His photographs of London in particular are amazing to me. I walk past these places almost every day, and never had that vision. I shall be accompanying Mr Vulture around London this weekend, lugging 10Kg of equipment on a trolley (seriously! ), while he tries to impart some of his knowledge to me and 5 others. I can’t wait. Here is his Flickr photostream. Mr Vulture is a professional photographer who uses Flickr as a key part of his trade, and also as an enthusiast. Many pros do. And one of the doyenne, who produces work that is in my opinion quite magical is the challengingly-named Joel Tjintjelaar. Joel is a master of long-exposure photography but also a master of image processing. He puts extraordinary skill and time into creating pieces of fine art from his initial digital images. Some of his images take 40 hours of painstaking meticulous detailed work to create. Yet they are photographs, not drawings. Have look at his photostream here. And finally, and least, there is my own photostream. You will see new stuff there I have not yet put on this site. And you can see a bit of a different direction. See what you think. However they look to you, the Flickr experience has been great fun for me these last few weeks, and I recommend it to anyone interested on photography. In a future post, I’ll pass on what I learned about how to get really moving on this (as it turns out) fascinating social platform. My Flickr stream.